Marlon Brando directed only one film, and that came about, in 1961, only because he and a young Stanley Kubrick, whom Brando had hoped would direct, arrived at “creative differences” so Brando decided he would take on the job. 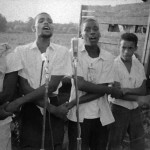 The restoration has been doing the festival circuit, and Criterion Collection will issue home-video packages on DVD and Blu-ray, late in 2016. 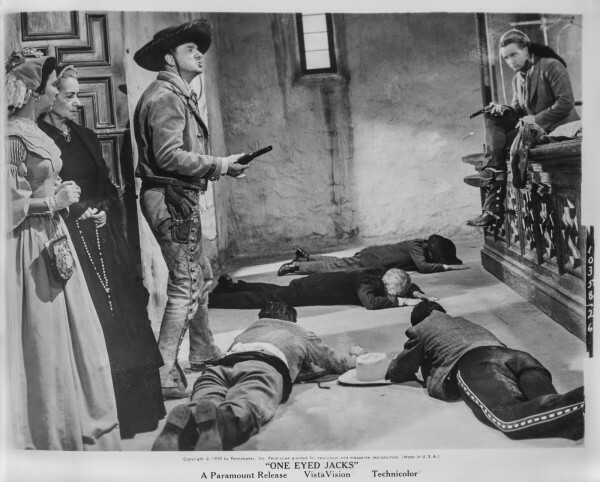 Admirers have for years generally had to view the film in sub-standard copies, so the new release presumably will only boost the cult status of One-Eyed Jacks, which has stemmed from the film’s oblique take on Hollywood genre conventions, and from its faithful followers’ considering it psychologically compelling and visually memorable. 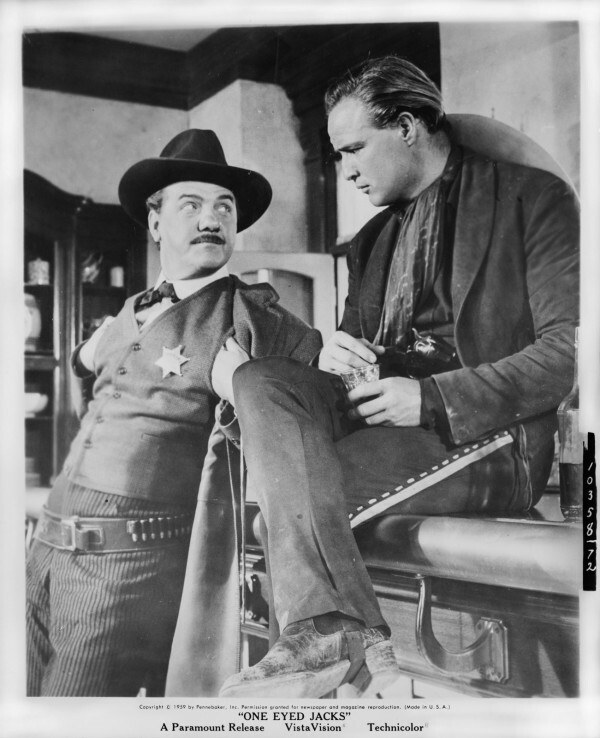 Brando plays the outlaw, Rio, whom fellow crim Dad Longworth (Karl Malden) leaves in a lurch as they flee Mexican rurales (mounties) with saddlebags of stolen bank gold. The law dumps Rio in a brutal, rat-infested prison, and it takes him five years to break out – implausibly so, given his Houdiniesque flights from hoosegows, thereafter, along with his Phoenix-like… hell, Christ-Lite resurrections from beatings. He sets out to find Dad and finds him in the town of Monterey on a wave-pounded California coastline. 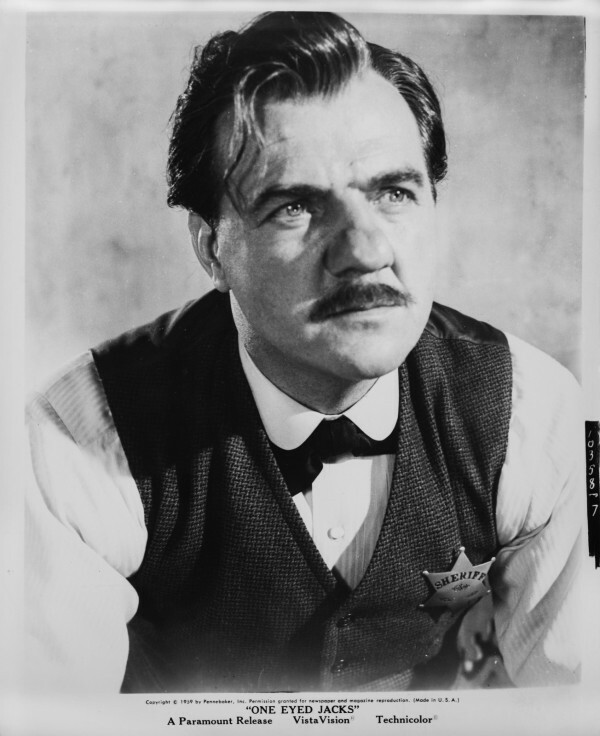 There, the crook has transformed himself into a tough sheriff and covetous, condescending head of family with a Mexican woman (Katy Jurado, best known for High Noon) and her stepdaughter, Louisa (Pina Pellicer, who won Best Actress at the San Sebastian Film Festival for her performance). Louisa weirdly rapidly and certainly unwisely falls for the ego-fractured Rio. Trouble ensues, as it will. 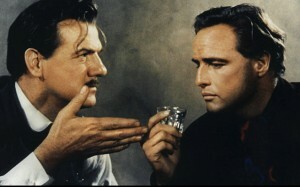 That the film was ever made is testimony to Brando’s investment in it. Its birth was complicated, and involved several hands — so much so that the results bring to mind the old joke about a camel being a horse designed by a committee. Brando apparently went into the project with a confused conception of what he wanted. He had at first thought of working from Alexander Dumas’s revenge classic, The Count of Monte Cristo, but then had settled on The Authentic Death of Hendry Jones, a 1956 novelization of the life of Billy the Kid by Charles Neider, a Mark Twain authority at Princeton University. Film producer Frank P. Rosenberg had Rod Serling, renowned for The Twilight Zone series, write a screen adaptation. 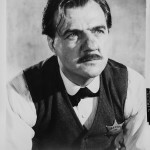 Rosenberg rejected that script, and hired Sam Peckinpah to write another, which the budding revisionary western director completed late in 1957. Brando didn’t like either Peckinpah effort, so let him go. Paramount publicity stills from the original release, 1961. Brando said later that once he took over as director, he and Trosper “constantly improvised and rewrote between shots and setups, often hour by hour, sometimes minute by minute,” even as filming proceeded. Fans of the results point to various skills Brando exhibited, but control of the shoot was not among those. It dragged on and on in part because Brando knew little about directing but was wedded to the “method acting” that he espoused but that ill served the project, and in part because he was exceedingly exacting in a way only fully self-convinced auteurs must be, or will. 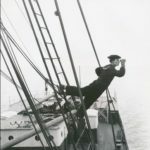 He wanted control not only over his crew but even over the way waves rolled onto the Pacific shore. 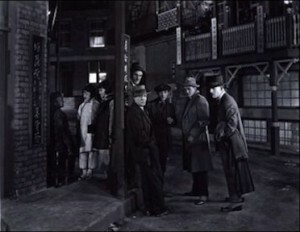 He shot six times as much film as originally envisaged, which took twice the planned 12 weeks, and more than three times the $1.8-million budget. 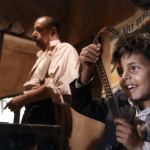 To do justice to the camera work of the veteran Charles Lang, who received an Academy Award nomination for best cinematographer/color for his expressive filming of the Mexican desert and the California coast, NBCUniversal and The Film Foundation digitally scanned original 35mm VistaVision negatives in 6K to produce a 4K restoration. Paramount kept the original negatives in its vaults, but the blue hues of the original Eastman 5248 color film stock had faded. The restoration, done at NBCUniversal StudioPost, with some digital restoration at Prasad, required laboriously recreating all but the blues. Universal’s partner in the One-Eyed Jacks project, The Film Foundation, is a nonprofit organization that Martin Scorsese set up in 1990 to promote film history and preservation. 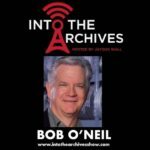 It has worked with archives and studios to restore almost 700 films. 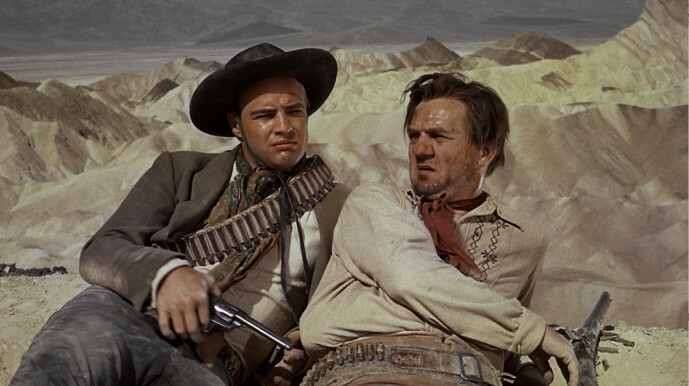 It’s when Brando the director sought to ladle nuance into his characters that his conventional, albeit better-than-average execution of a cowboy revenge plot turns rapidly to schmaltz. As dashing-blade (aka serial sexual snake and assaulter) Rio courts Dad’s incoherently characterized stepdaughter, he exhibits a confusion of revenge, desire, and inadequacy. That might sound like the makings of a compelling character, but watch the film and you’ll quickly see that Brando was unable to find his way to clarity about what he intended, so he resorted to dolloping on a pastiche of fresh intuitions and received matinee tropes, including such homely fictions as that a bad or sad man might be saved by the love of a good woman. You won’t quite be mesmerized into overlooking these inconsistencies, as much as you’re lifted by the insipid welling of strings in Hugo Friedhofer’s score, which One-Eyed Jacks cultists nonetheless persist in applauding. 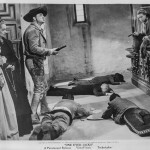 Crowther in the New York Times reported much of this in 1961 when he said the showdown adventure wallows in “element of creamed-cliché romance and a kind of pictorial extravagance that you usually see in South Sea island films.” The winsome Mexican miss, deflowered by deceit during a cutaway. Her fine-self-improving-impoverished-woman Mexican mother, unable to make a good man of dastardly Dad. A standard riff among champions of One-Eyed Jacks is that Paramount foiled Brando’s grand conception. In the record of tussle between auteur and studio executives, they have no trouble finding reasons to flatter their idol. 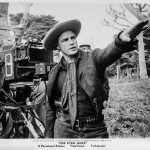 Brando wanted Paramount to take a 4-hour-42-minute cut to the cinemas – the cut he had reduced his original eight hours to, under studio pressure – but Paramount, already perturbed at how over budget the production was, managed to pare him back to 141 minutes, fully one-half his preferred length. Paramount did that by, for example, losing sequences in the Sonoro prison where Rio nurtured his thirst for revenge. Perhaps even worse for Brando’s pride and joy was that Paramount insisted on the usual: a “happy ending.” The one they came up with, and filmed after the initial shoot, is hardly coherent. It might be sappy; it might be ludicrous; it might even hint in directions Brando might have. Brando with Pina Pellicer, who played Louisa, the naïve object of Rio’s disheveled ego and eros. It was, as it turned out, not even a box-office hit; far from it. 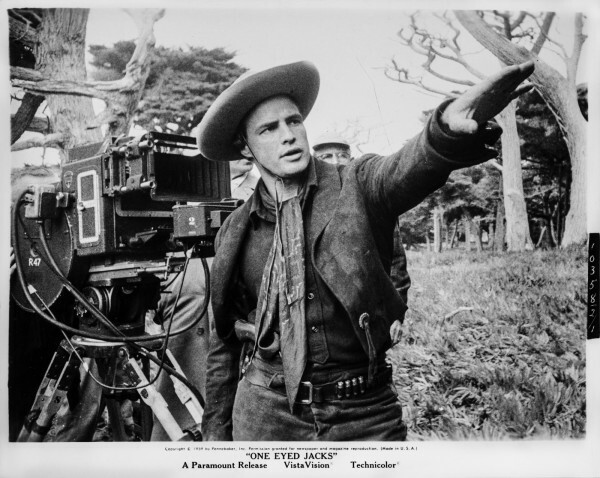 Journalists, famously averse to editors cutting their golden words, might sympathize with actual creators in the arts whose work meets fates like Brando did, with One-Eyed Jacks. But, judging by what we see in the film, and can glean from Brando biographies and autobiographies, his grappling with his characters’ psychology would not likely have been resolved if he had had free rein to explore and develop it during the hours’ more running time he had sought. 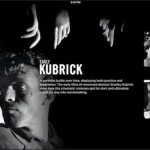 In his own mind — not, almost certainly, in any apparently lost cut footage — were locked the opportunities lost. Strip away the allowances that contemporary convention accorded the western, and that westerns still in some quarters enjoy, and what’s left is a dog’s dinner of implausible action, spit-thin sentimentality, soap-opera melodrama, genre cliché, man-toy shoot-’em-up, and the susceptibility of women so credulous and compliant only a damn-fool man could make them up. Obviously the executives and filmmakers behind this restoration wouldn’t agree with much of this — with its premises — so it’s perhaps superfluous to ask what the point of a restoration might be, in a case like this. To experience more sharply the artistry of the filming, and the many poignant, arresting, or captivating moments Brando did achieve, certainly. To be presented more sharply with how flawed his creation was? Yes, or no.